The day after Thanksgiving, or should we say, Thanksgiving Leftover Day is my most favorite day of the year. You all know how much I love leftovers, but I love a day when all my leftover love is shared by millions. Everyone is talking leftovers, Turkey Day Leftovers. I sure enjoyed talking about them on the BIG XTRA HOUR MORNING SHOW. There is nothing like a good old-fashioned leftover turkey sandwich with dressing, turkey, gravy, and cranberry sauce on toast, but how many can you eat before getting tired of it? For my family, once, maybe twice, then it is time to move on. 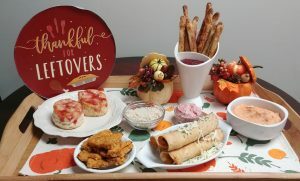 When it comes time to Makeover My Leftover in your house, look at the Turkey Day Leftovers as key ingredients for new meals. Break down what each dish is and use it as such. For instance, put turkey slices in food processor. Pulse until minced. Use as you would ground turkey in your favorite recipes or portion out and freeze for quick and easy meals. 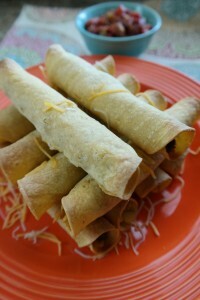 I love to season it with taco seasoning, add jalapenos and cheese for turkey taquitos. How would you like your turkey, mashed potatoes, and gravy to go in one easy to eat handheld bite? No, I’m not talking turkey. 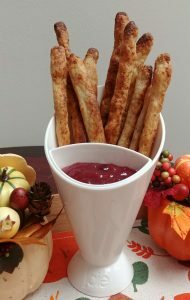 I’m talking about the biggest leftover hit at the Big Xtra Hour Morning Show: Turkey & Gravy Potato Sticks using the minced turkey. Think of them as loaded leftover turkey day fries! Line a cookie sheet with parchment paper. Spray paper with olive oil or non-stick spray. 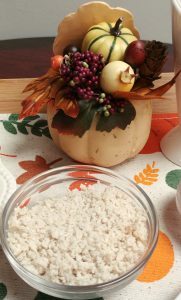 Using a rubber spatula, blend together turkey, mashed potatoes, flour, butter, and gravy in a mixing bowl until a dough is formed. Drop dough onto a lightly floured surface. Knead a couple times. If dough is a little dry, add more melted butter or gravy, 1/2 tsp at a time. 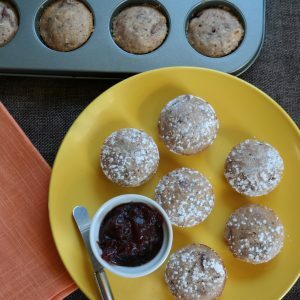 Using a teaspoon, equally portion dough into balls and roll out into sticks. Put sticks onto prepared cookie sheet. Spray sticks with olive oil or non-stick spray. Bake 15-17 minutes or until desired crispness. 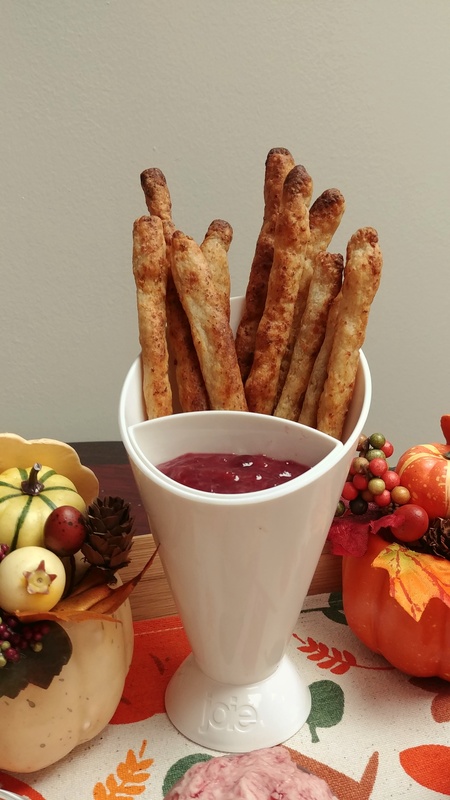 Serve with leftover gravy or cranberry sauce for dipping. Dough can be rolled out and cut into sticks, too. Have leftover mashed sweet potatoes or sweet potato casserole? 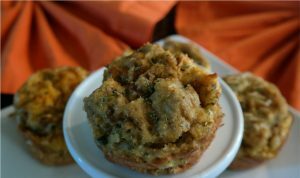 Use like above recipe with 1/2 cup leftover sweet potatoes, 1/2 cup flour, 2 TBSP melted butter, 1 TBSP minced pecans and 1 TBSP minced coconut. Roll out dough and cut for snack crackers similar to cheese wafers! 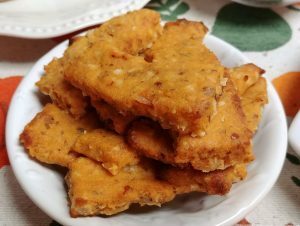 Still have leftover sweet potatoes? 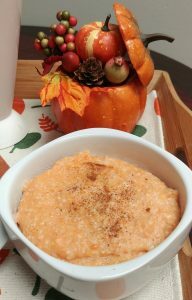 How about Sweet Potato Stuffed Apples, Sweet Potato Parfait or Sweet Potato Grits? Leftover Cranberry Sauce? Always extra cans in my house for everyone always shows up with a can, “just in case”. Best case! 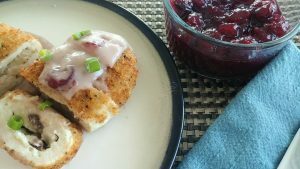 Use leftover cranberry sauce like jelly and blend with water, orange juice, or champagne and powdered sugar for a biscuit glaze. Heat with maple syrup for pancakes or waffles. Mix with horseradish and creole mustard for a spiced dipping sauce. Whisk into whipped butter. Great to freeze into shapes for Christmas. Leftover Pie? 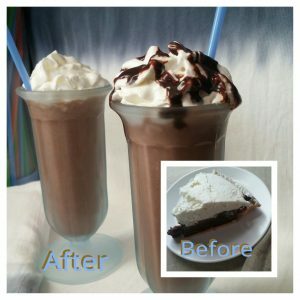 O.K., since most of you disagree with me and say there is no such thing as leftover pie, let me say “just in case there happens to be only one slice of pie “left” and you would like to share it.” Make pie milkshakes or these other 10 Tasty Uses for Pie. Put Your TO COOK IS TO CREATE Thinking Cap On: Only have loaded mashed potatoes for the sticks? Bonus points for you. Cheese can even be sprinkled on top before baking. There are so many ways to get creative with Turkey Day Leftovers. Pizzas, nachos, waffles are all over the internet. 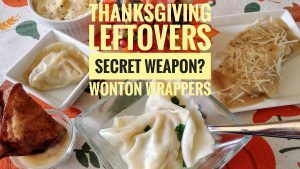 Did you catch my ultimate secret ingredient for Thanksgiving Leftovers? Yes, wonton wrappers? The possibilities are virtually endless. It’s like leftover magic. They can be filled with just about any leftover. Use to make perfect raviolis, love mine filled with Leftover Dressing Ravioli in Brown Butter Sauce, fried wontons, (delicious dipped in leftover gravy), wonton soup with turkey carcass stock, or potstickers with leftover cranberry sauce for dipping. All of the dishes look wonderful.